Longueuil, April 5, 2019 - The Réseau de transport de Longueuil (RTL) is pleased to announce the renewal of several partnership agreements that will ensure users can continue to ride several lines for free during cultural and sporting events in the Agglomération. Longueuil, April 4, 2019 - The new pressure tactics announced by the taxi industry for Friday, April 5, will have major repercussions on the Réseau de transport de Longueuil’s (RTL) paratransit, shared taxi and RTL à la demande services. Longueuil, March 26, 2019 - The Réseau de transport de Longueuil (RTL) wishes to inform users of changes made to the schedules and routes of certain lines in the aim of improving service. Longueuil, March 25, 2019 - All paratransit, shared taxi and RTL à la demande services provided by the Réseau de transport de Longueuil (RTL) will return to normal as of Tuesday morning, March 26, 2019. Longueuil, March 23, 2019 - The pressure tactics announced by the taxi industry, set to begin on Monday, March 25, could have major impacts on the Réseau de transport de Longueuil’s (RTL) paratransit, shared taxi and RTL à la demande services. Longueuil, March 21, 2019 - Due to a power steering problem in certain models of Nova Bus hybrid buses delivered between 2017 and 2019, the Réseau de transport de Longueuil (RTL) has taken these buses off the road for emergency inspections. Longueuil, March 21, 2019 - The Réseau de transport de Longueuil (RTL) welcomes the announcements made today by the provincial government during the tabling of its budget. Longueuil, March 13, 2019 - Users of the Réseau de transport de Longueuil (RTL) can now receive real-time updates of possible disruptions on their regular route thanks to Chrono notifications. A new feature in the app now lets users select their favourite bus lines, bus stops and departure times, and receive messages about them. Longueuil, February 27, 2019 - The Réseau de transport de Longueuil (RTL) will be extending the 2019 season of the SkiBus line (299) until March 31, including every day of the school break from March 4-8. The line has been transporting passengers to Ski Saint-Bruno and Parc national du Mont-Saint-Bruno from the Longueuil terminal every weekend since January. 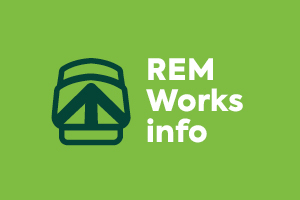 Due to the construction of the REM, the Chevrier tunnel will be permanently closed to traffic starting April 25, 2019, resulting in several route changes. During this period, RTL`s line 61 customers cans use the metro service free of charge at the Longueuil–Université-de-Sherbrooke and Radisson stations. SERVICE CHANGES FOR THE NEW SCHOOL YEAR ! Due to the Island Bike Tour in Montreal and the closure of Highway 10 east in Brossard, the routing of RTL lines 45 and 90 will take place between the Panama terminus or Chevrier parking to the Longueuil-Université-de-Sherbrooke metro station, in both directions. This change is effective Sunday, June 3 from 5:30 am to 6:00 pm. Due to the complete closure of the Louis-Hippolyte-La Fontaine tunnel towards Montreal, the arrivals and departures of Line 61 planned at Radisson metro station from Friday, June 1st at 11 pm to Monday, June 4th at 5 am, will take place at the same hours at Gate 9 of the Longueuil bus terminal. Due to the complete closure of Highway 25 towards the South Shore, the arrivals and departures of Line 61 planned at Radisson metro station, Thursday, May 17 between 11:30 pm and 5 am the next morning and Friday, May 18 at 11:30 pm to Tuesday, May 22nd at 5 am, will take place at the same hours at Gate 9 of the Longueuil bus terminal.